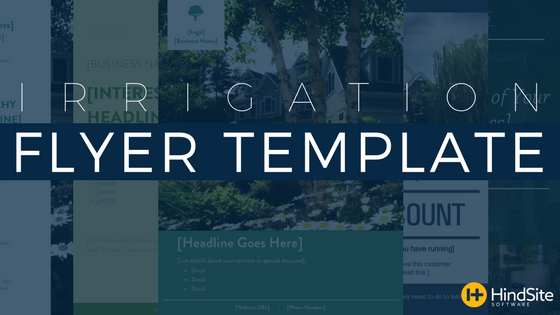 Not only are they one of the irrigation business essentials but every marketing flyer your business sends or hands out has a certain purpose. From introducing your irrigation business to a new neighborhood to promoting a special offer, a flyer’s layout must mesh with its end goal. For when you’re running a once-in-a-year deal and one or two exclamation points just won't cut it. From spring start-ups to winter blow-outs to installations - your irrigation business offers a lot services and you want your flyer to flaunt that. Simple and to the point, as my rancher uncle would say, it’s a real straight shooter. Southpaws might have a shorter life expectancy but this flyer will live forever. Layered, mysterious, enigmatic - no, it’s just your standard flyer but it’ll get the job done.